This is essentially the epitome of foodporn. 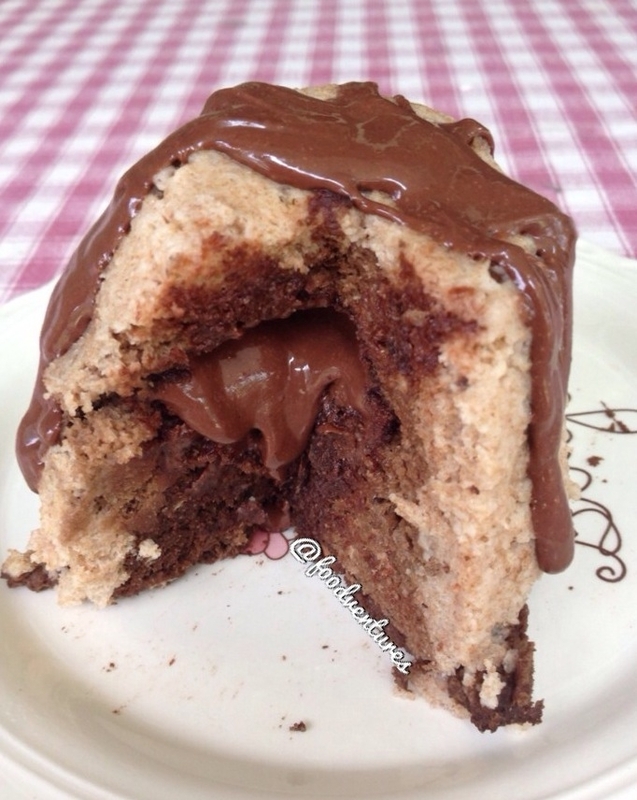 Dark chocolate dreams nestled inside a chocolate mugcake which is nestled inside a vanilla mugcake. So many layers of deliciousness. Try to control yourself. You're drooling a little. Combine ingredients to make your vanilla mugcake. Add enough milk until a batter forms. Layer into the bottom a microwave safe bowl. Spoon your pb into the center. Combine ingredients to make your chocolate mugcake and layer this on top of your peanut butter. Microwave for ~3 minutes. Top with more dark chocolate dreams. enjoy.